Be in control of their own Professional Future and Work/Life Balance. For over 10 years, HR Coach has been helping HR and Business Professionals achieve their goals by providing a foundation and support structure that makes it possible for them to turn their knowledge and experience into a consulting business. HR Coach Network Member, Katrina Haynes from K Haynes HR, shares her journey to joining the HR Coach Network. HR Coach - A Strong Foundation and Supportive Network. Professionals are drawn to the HR Coach Network to gain access to tools, methods and intellectual property as well as market leading research. Coaching is particularly effective in Small to Medium Enterprise (SMEs) and has certainly become an accepted service. Given that the typical SME has no devoted human resource function, HR Coaches have an opportunity to do great work that makes a positive impact on employees, business owners and the local community. 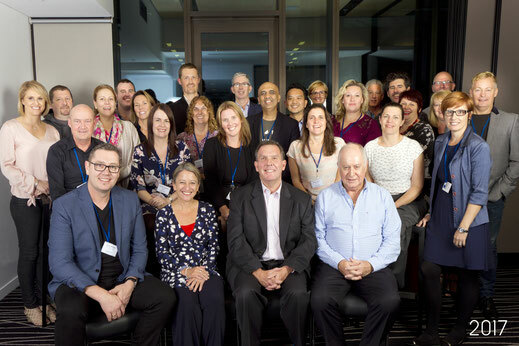 The HR Coach Australasia Network has over 100 members in Australia, New Zealand and Papua New Guinea. The proportion of male to female members is evenly split. This is a statistic that we are particularly proud of when one considers that in middle to executive management the ratio is heavily weighted to males. The flexibility of a human resource and business coaching business has allowed mothers to return to work, business professionals to recognise their real worth and most importantly, for individuals to rediscover the enjoyment in their work. We are seeking individuals and existing organisations who share our vision to work with us. Our mandate is to create meaningful shift, sustainability and growth with a network of like minded peers. At HR Coach we understand that moving into your own business is a personal and complex decision and as a result we have developed a thorough due diligence process. Our aim is to provide you with concise information about the market and how a HR Coach can add value using proprietary tools and products. The other important element is to make sure the HR Coach model is right for you. We use a Skills and Capability Assessment to understand your experience and skills across the Human Resources and Business spectrum. This assessment is complementary and comes with no obligations.